1. Hydrolytically Stable Materials – Coil Innovation utilizes only Class F (155 deg C) or Class H (180 deg C) turn-to-turn insulation films because they are hydrolytically stable at specified operating temperatures. Hydrolysis effects appear when water penetrates the winding-body and additionally this water starts to boil due to the heating of the reactor. If an insulation-film is not hydrolysis-stable it gets brittle. This can lead to dielectric breakdown and turn-to-turn failures. 2. Winding Manufacturing Technology – Only 1 machine is utilized to perform the functions of shaping the cable, adding the insulation film and winding the cable over a mandrel to form a cylindrically shaped reactor. During winding process, sensors are installed to monitor the height of the wounded turns. There is feedback control in the process, where this height and the number of turns are calculated and the controller changes the shape of the cable to adjust the inductance of the layers. Due to this controlled technology, precision in the inductance over all the parallel layers is achieved. The tolerance in the inductance is less than +/- 0.5%. 3. Low dB Levels – Coil Innovation has carried out extensive research in mitigating the sound of the reactors. We have our patented Silent Coil Technology that focuses majorly on controlling the primary sources of sound in the reactor. We have managed such installations using Silent Coil Technology to meet the sound requirements. 4. 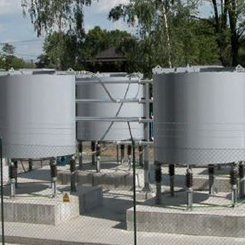 Conservative Designs – In addition to the limits specified in IEEE standards, Coil Innovation uses a conservative approach in designing the reactors to improve its electrical and thermal characteristics for the purpose of extending the useful life of reactors. Power Sales Group Celebrates 25 Years!